OldEuropeanDiamonds.com | A network of Master Gemologist Appraisers and premier gem stone collectors consulting to private individuals and the Gemological Community. We have engaged audiences of all sizes with valuable technical information, entertaining dialogue, slide shows, and history regarding a wide range of topics associated with fine gems and their mystique. We have 35 years of combined International executive and gemological security services experience to offer our clients. We are experienced, polished, internationally schooled professionals with references. 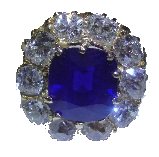 Please contact us to get direct answers to your antique jewelry, old mine and European diamond questions. BEING SENIOR MEMBERS OF THE ACCREDITED GEMOLOGIST’S ASSOCIATION AND LECTURERS ON THE SUBJECT OF OLD CUT DIAMONDS, FINE PLATINUM ESTATE JEWELRY AND GEMSTONE TREATMENTS, WE ARE OFTEN ASKED TO PROCURE DIFFICULT TO LOCATE OLD CUT DIAMONDS AND FINE PLATINUM ESTATE JEWELRY AS WELL AS FANCY COLOR DIAMONDS WHICH WE PAY A PREMIUM PRICE FOR. Old cut diamonds offer value as well as security above that of conventional modern cut diamonds. Please feel free to contact us toll-free for a detailed discussion. One client turned to us after searching the Eastern seaboard estate jewelry buyers and gemologists for a $6,500.00 offer on a “Fancy Yellow Diamond” set in an 18K yellow gold mounting. We were able to locate a buyer within three days who paid $18,500.00 for the piece. Fancy Color diamonds have been setting all time records in prices received in the last year. Old mine and old European diamonds speak of an elegant less hurried time where pride of old world cutting techniques was performed with great pains by old world diamond cutters. The hypnotic dance of light produced from the old mine and old European diamond faceting arrangement is becoming scarce as many retail jewelers continue to re-cut the old mine and old European cut diamonds into easier to sell modern round brilliant facetted diamonds for their clients. This makes the old European and old mine cut diamonds today ever more scarce particularly in the finer “white” colors from D to G. We specialize in purchasing and selling these old mine and old European diamond masterpieces. Fancy colored old cut diamond clients interesting in selling approach us regularly to obtain for them the highest price on their rare, exotic and collectible fancy color old European and old mine diamonds in this most demanding market place. We have individuals openly state they are glad to have any prospective clients give them a call to ask about their own experiences with our services. While these older cut diamonds in fancy yellow, pink, green and orange are rarely ever seen, they are actively sought by our collector base. 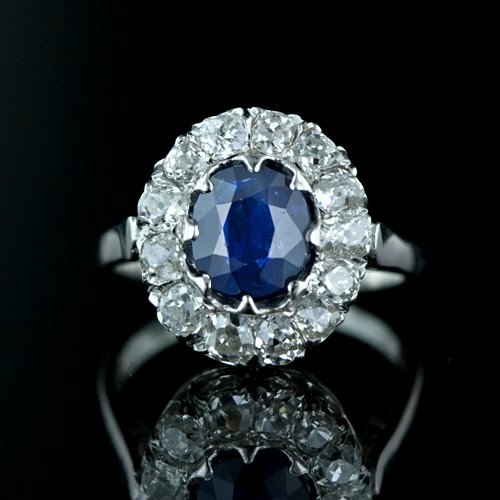 Please give us a call and discuss any questions you have on any fancy color diamonds you are considering a sale of. Originally fashioned in a time when electric light was unheard of, the broad flat facets reflect a nostalgic time gone by when broad reflective bands of diamond light danced in dimly lit romantic parlors and ballrooms. The mirror like facets of the old mine diamonds and old Europeans adorned the hats and dress of royalty and upper class for centuries during the period when civilizations were burgeoning into explicit adornment. Please feel free to call us at 1-(512)-608-2524 for a welcome and detailed discussion of Old Cut Diamonds. 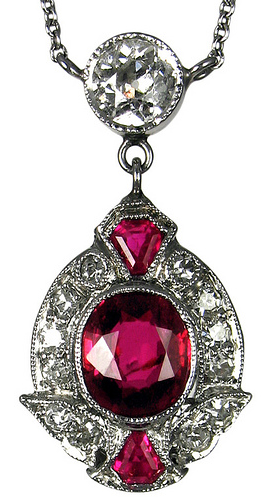 After speaking with jewelers and realizing old cut diamonds are a specialty item, I found OldEuropeanDiamonds.com They assisted me in getting a very fair return on my Aunt’s Old European Diamond pendant which I had inherited. We found this business through an online search. My husband and I drove to Austin from Dallas to meet with E.R.M., the Graduate Gemologist from OldEuropeanDiamonds. We were impressed with both his professionalism and knowledge of gems and were quite comfortable leaving our old cut diamond with them on consignment. In a very short period of time, they had found a buyer for our diamond at a very good price. We couldn‘t have been more pleased with his service and the results. In the future we will be going back to OldEuropeanDiamonds for investment gems. They deal very fairly with their clients. 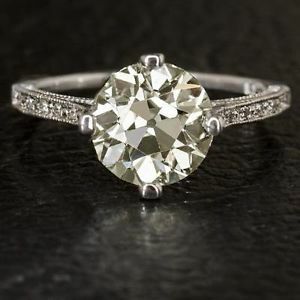 After seeing a number of jewelers and searching the central Texas area for the best price we could receive on my near 3 carat Old European diamond, we agreed to have OldEuropeanDiamonds broker the diamond for us for a higher cash amount. They were professional, informative and got us a significantly higher price than anyone else we approached. 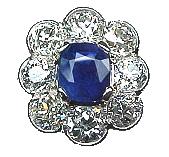 We have particular expertise and experience in the buying and selling of Fancy Color Diamonds, Kashmir and Burmese Sapphires. If you have Old Cut diamonds to sell, do yourself the service of contacting us for a quote on the diamond or pieces that you have.